Wineman Technology, Inc., a leading test solutions company, today announced that its CANalytics software was named the National Instruments LabVIEW Tools Network Application Enablement Product of the Year award winner. The company was also honored with the NI Alliance Partner Network Gold Level Outstanding Technical Resources award. NI presented these awards today at NIWeek, the annual conference for its Alliance Partners and customers, held May 22-25 in Austin, Texas. Earlier this year, the CANalytics platform became available on the LabVIEW Tools Network. With the platform, engineers can save time and money by easily creating an interface that integrates with a LabVIEW application, rather developing a completely custom GUI for every CAN application. The CANalytics platform provides an interface to maximize the benefits of CAN bus hardware, particularly for automotive and aerospace applications where it provides a durable network that supports communication between multiple electronic control units (ECUs). At today’s Alliance Day, NI awarded Wineman Technology for the CANalytics platform and its ability to help customers expand the power of NI software and modular hardware with better data and insightful analytics. “Add-on software from our third-party developers is an integral part of the NI ecosystem, and we’re excited to honor Wineman Technology for its achievement with CANalytics,” said Matthew Friedman, senior group manager of the LabVIEW Tools Network at NI. 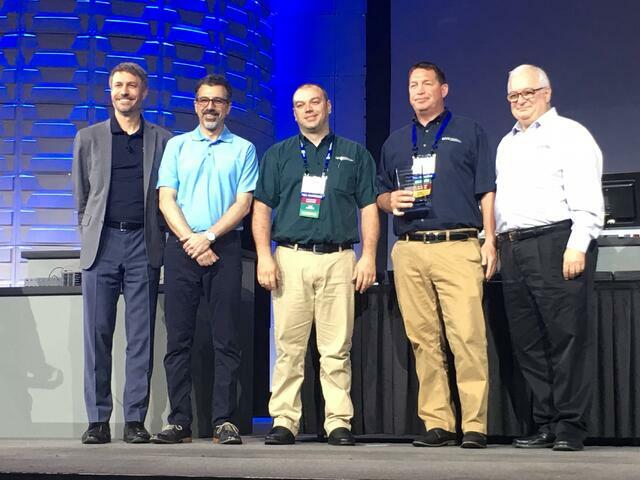 Today’s Outstanding Technical Resources Award recognized the amount and quality of technical expertise an Alliance Partner offers to its customers. Wineman Technology has a strong commitment to technical excellence, maintains a systematic approach to certifying LabVIEW programmers, and provides a wealth of technical resources that add tremendous value to for customers. Wineman Technology is a NI Gold Alliance Partner, and CANalytics is one of many Wineman Technology solutions that bring specific test and data analysis tools to NI platforms. Other platforms include INERTIA™, a configurable automation software optimized for real-time control and data acquisition, component test, and test cell automation and TestTracker, a data management software that provides a dashboard lab managers can use to see all tests in the lab and assess efficiency or uptime data from any testers.